An anti-aging product that promises to give you a “Do-It-Yourself” facelift, NuVitaLift hopes to be your alternative to plastic surgery. NuVitaLift is an anti aging product that requires the use of two treatments to be entirely successful. As an anti aging treatment, NuVitaLift claims to restore skin firmness, reduce the appearance of fine lines, laugh lines and wrinkles. It also acts as a moisture restoration therapy. NuVitaLift hopes to be the alternative to expensive plastic surgery by providing you with a “Do-It-Yourself” solution. In fact, they are so assured of their claims that they offer customers a 100% money-back guarantee. 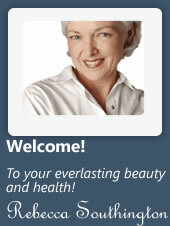 There are two products that constitute the NuVitaLift anti aging treatment. One is called the NuVitaLift Firming Facelift Mask and the other is NuVitaLift Overnight Firming Cream. Both of these must be used together to reduce aging signs, boost skin elasticity, firm, moisturize, nourish and contour the skin, promote cell growth in the skin and boost the production of collagen. The Firming Facelift is like a face mask that needs to be applied for about 20-25 minutes before being rinsed off with warm water. The Overnight Firming Cream obviously works overnight and should be applied immediately after the face mask is washed off. The key ingredients in NuVitaLift are gingko biloba extract, green tea extract (as an antioxidant), rosemary extract, lemon extract, ginseng extract (to maintain the elasticity of the skin), horsetail extract (for skin firmness) and grape seed extract. Notice the lack of any chemical ingredients. This is because NuVitaLift is promoted as an all-natural face-lift so that even a customer with sensitive skin can easily use it. NuVitaLift is an all-natural product with all-natural ingredients. It is aimed chiefly at middle aged women who’ve already seen their face being damaged by wrinkles and lines, and have now decided that they need an urgent cure. It is not a complicated or invasive treatment and simply requires a nightly application of these two products. NuVitaLift can easily be purchased online from the official website. The company offers dissatisfied customers a 100% money back guarantee. NuVitaLift does not provide the proofs of any dermatological tests- this can make consumers a little wary. It uses only natural ingredients while many other anti aging treatments are using more advanced and proven ingredients. The NuVitaLift treatment requires a nightly application that lasts about 30 minutes. This may not be possible for all the users. NuVitaLift is a great natural solution to plastic surgery if you’re looking for a face lift. However, we’d also like to see some scientific research behind the product.